As an educator, communication is a key component to your job. You have to communicate not only with your young students, but also with their parents. To help prepare you to be an effective communicator, ProSolutions Training offers online training for early childhood educators on the topic of effective communication. This hour-long communication course allows you to earn 0.10 credits toward your Child Development Associate (CDA) Credential™. 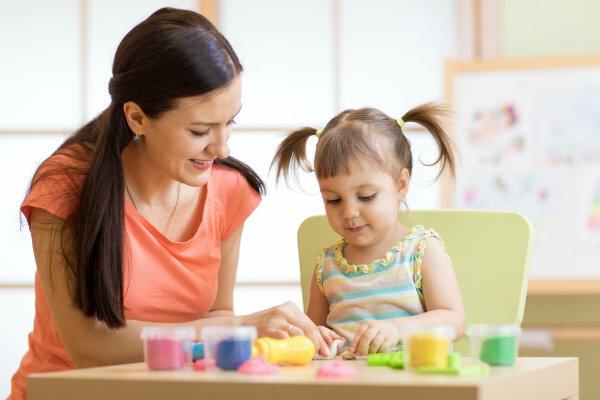 During this online training for early childhood educators, you’ll not only learn about communicating effectively with young children, but also how to listen effectively. When children feel as if they are being listened to, they become more responsive, engaged, and respectful. After completing this course, you should be able to define the role of listening in communication, in addition to understanding the components of active listening and the differences between active listening and therapeutic listening. As an added skill, you will also learn ways to make listening more visible in your classroom. While communicating with children is very important, there is also the need to communicate with their families. However, sometimes communicating with families can be a bit challenging. To help you prepare to communicate with families, try taking this course. This online training for early childhood educators builds on the foundations of Part I while also earning you one hour of training credit, in addition to 0.10 CEUs. In this course, you learn about the three core principles needed to communicate successfully in any circumstance. You will also learn how to establish trust between yourself and the families of the children in your care. Trust is essential to establishing effective communication and building relationships. Beyond building strong communication skills, this course also helps you deal with conflict resolution. In particular, you learn strategies that will help you engage with the families of children with special needs, in addition to families of typically-developing children. Developing communication skills around specific events can also be extremely useful for educators. In that vein, Helping Children Cope with Divorce might also be an essential course. As over 50 percent of marriages end in divorce, you are extremely likely to encounter students dealing with this family transition. In this hour-long course, you can gain more understanding of the level of support in your role upon finding out about a child’s parents’ divorce. You can also learn about the effects of divorce, broken down by specific age groups, as well as about activities that can help in these situations. Sadly, some young students may also have to deal with a death in the family. As they grapple with their sadness, confusion, and loss, this course gives you the skills you need to help them heal and cope with their emotions. Learn how to talk with children after they have lost a loved one, review the signs that one of your students is having difficulty coping with a death, and acquire communication skills to help them adjust in the time that follows. This hour long course is an invaluable part of the online training available through ProSolutions Training for early childhood educators. To find these courses and others, explore our online course catalog. You can search by keyword for courses in your area. Then, sign up to start or renew your CDA online today. At ProSolutions Training, we provide online training for early childhood educators, and we would love to work with you.